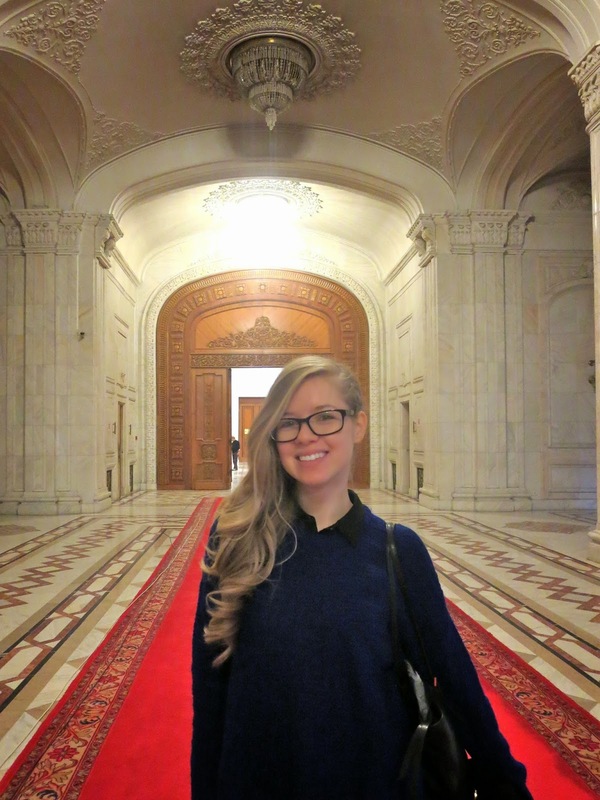 On our short stay here in Bucharest, we decided to visit the Palace of the Parliament, also known as "House of the people/ Peoples palace" or in Romanian "casa poporului". This is the largest building, for civil use, with an administrative purpose. The building is made entirely with Romanian materials build by Romanian workers and it is the most expensive administrative building. When in Bucharest it is worth taking the time to visit it. 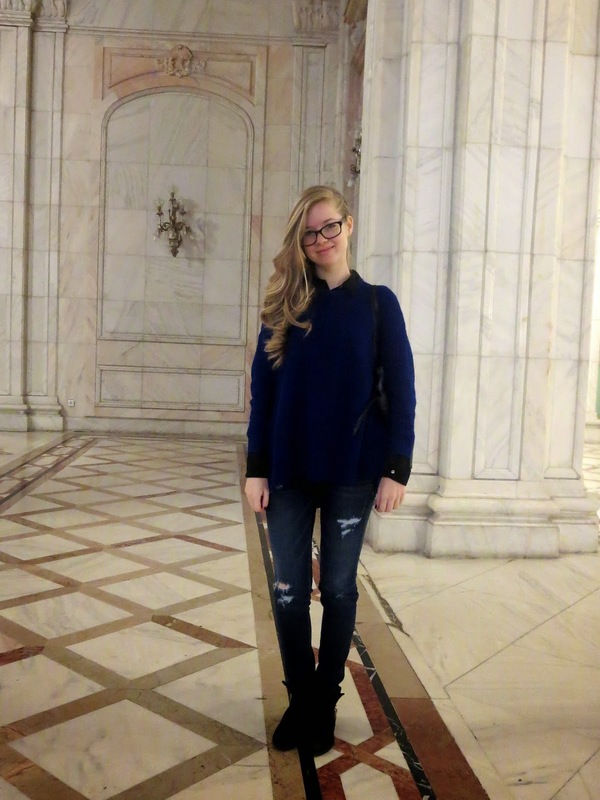 Since the weather is kind of gloomy out here, I think I brought the viennese weather with me, my outfit consisted of a soft and fluffy pullover, which I paired with an elegant blouse underneath, creating a preppy vibe. The colour scheme was black and blue with gold hardware on the bag and boots. 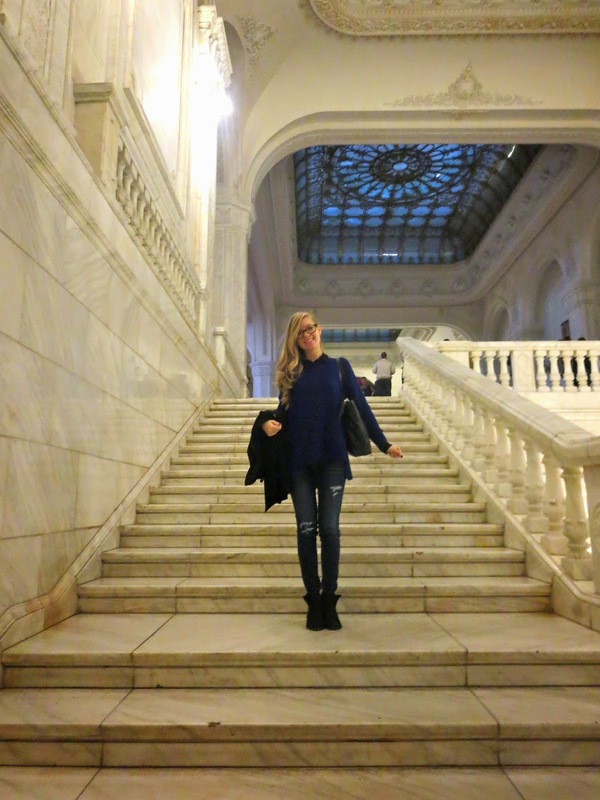 I uploaded some pictures from inside "casa poporului" after my outfit ones. Afterwards we had some lunch with this gorgeous woman. wow what a wonderful place thanks for sharing..